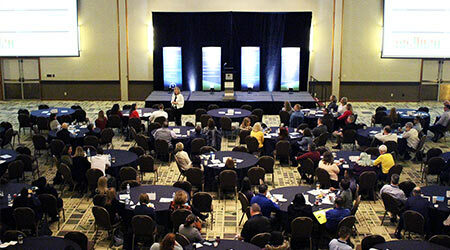 Tying into the 2018 theme, TEAM added additional features to make this event more valuable to customers: nine strategic sponsors, an interactive event app, special keynote presentation by former Navy Seal Bobby Howell and four client-led sessions that covered best practices for TEAM’s solutions. The Collaboratory, an all-in-one interactive space, was a hotspot throughout the event and featured exhibitors and a Product Innovation Lab showcasing the latest innovations from TEAM, along with opportunities for attendees to refresh and recharge between sessions with snacks, beverages and lounge seating. Planning for the 2019 event, a 30th anniversary celebration, is underway and more information will be provided. Click here for a recap of the 2018 event and information about the upcoming event.